At the Piatchek Law Firm, our attorneys handle many types of legal concerns that affect families, including divorce, child custody, child support, modification, and adoption. We manage the full spectrum of cases: simple to complicated, cooperative to contested. Sometimes you may not know for certain whether the other party will be cooperative (whether your case is “contested” or “uncontested”) or exactly how contested your case might be. If you are confused or you have any questions about these matters, you are welcome to call us at 417-882-5858 for help. In addition, please visit our webpage “Contested vs. Uncontested” to learn the difference between these two avenues of divorce, custody, and support matters. If you and your spouse are in total, 100% agreement on all aspects of your case, including property, finances, children, and custody, we can likely handle your uncontested divorce case at a reasonable, flat fee as a part of our Affordable Legal Services program. If you think you may have a cooperative, uncontested divorce case, please see our page entitled “Cooperative, Uncontested Divorce” for more information and details on how these types of cases work. Many people hope that they will have a cooperative divorce case, but it does not always turn out that way. Perhaps they really want the other side to cooperate, perhaps they truly believe the other side will cooperate, or perhaps they don’t know where the other side stands at all. Our cooperative family law services are not for everyone, and we don’t take every case on our “cooperative, uncontested” track. Clients who can take advantage of the cooperative family law track typically have cases that are civil and agreeable, and both parties want to save time and money. 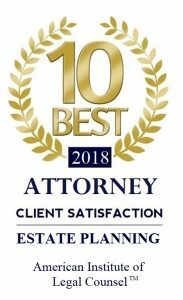 They simply need an attorney to prepare all of the documents as agreed upon by both parties and make the process as quick, affordable, and smooth as possible. In addition, they want this process to be completed at a simple, flat rate, rather than by the hour. These are the kinds of cases where we can be of great assistance and provide great value. We encourage our family law clients to work through their issues cooperatively with the other parties when possible. Of course, this is not always feasible, and uncontested divorces are not for everyone. This is why we also handle contested cases. Sometimes you have to fight for what is important to you in life; we can help you fight. The vast majority of family law cases are contested, and that is no different at our firm. We are committed to seeing that our clients’ issues are resolved to the very best of our ability, with minimal delays and reasonable costs based on the circumstances. If your life is at a crossroads or you are experiencing a major change in your family situation, we can help you clarify and pursue your rights. Our attorneys will sit down with you to discuss the process of a divorce in Missouri and the time frame of a dissolution of marriage. If you are facing a family law issue, whether or not you and your spouse agree with one another, please contact our attorneys at 417-882-5858 to schedule a complimentary consultation.